If your intentions are to trot out an S2000 as a track day toy or club racer, consider a used model; $34,000 is a steep price to pay for something you’re going to abuse. The 2009 Honda S2000 is a true sportscar, in the sense that it trades comfort and refinement for speed and performance. TheCarConnection.com's editors drove the new Honda S2000 in order to give you an expert assessment here in this Bottom Line. 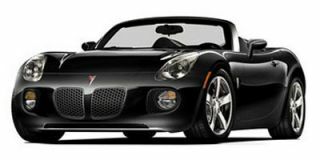 TheCarConnection.com has also researched available road tests on the new Honda S2000 to produce a review that surveys a wide range of observations and opinions. It’s been a decade since Honda launched the S2000, and its styling can no longer hide the car’s age. However, the roadster gets a respectable 18/25-mpg fuel economy, and the 237-horsepower, 2.2-liter four-cylinder engine's performance is stunning. Drive the S2000 gently and you probably won’t be pleased with the buzzy powertrain and busy ride. Tuned to perform on tight hairpins, the S2000 can feel taut and jittery on public roads. Wind out the engine and push its limits in corners, and you’re in for a completely different, grin-inducing experience; that’s what the Honda S2000 is all about. Mazda's Miata feels almost roomy in comparison to the S2000. The cockpit is cramped no matter how small the occupants. The high shoulders of the S2000 confine the driver and passenger, and the steering wheel sits low even at its highest adjustment point. Uncharacteristically for Honda, the controls aren't laid out cleanly (there's not a lot of dash space to do so), and the big red Start button seems more like a gimmick. There's plenty of black plastic, too, in the name of saving weight. The 2009 Honda S2000 is one of the least practical mass-production cars on the planet. There's almost no interior or trunk storage, the cockpit's more cramped than the coach seats on a Boeing 757, and it's priced above $30,000. It is a classic roadster sportscar with rear-wheel drive, a ragtop to open on sunny days, a six-speed manual transmission, and a rev-happy four-cylinder engine. Last year Honda introduced the S2000 CR, the club-racer version of the standard S2000. The CR gets a full-body aerodynamic kit, high-performance Bridgestone tires, firmer suspension settings, a thicker anti-roll bar, and new wheels. A lightweight aluminum hardtop that cuts weight by about 90 pounds replaces the soft-top mechanism. Inside, the CR gets distinctive cloth seats with yellow stitching, a new aluminum shifter knob, and carbon-fiber look-alike trim panels. Standard equipment on the 2009 Honda S2000 includes electronic stability control and anti-lock brakes, but side airbags—a feature now found on nearly all new vehicles—aren’t available. The S2000 Honda’s styling remains unchanged for 2009, but it's a favorite among go-fast enthusiasts. Though the 2009 Honda S2000 has a dated design, the base model stands out for its impressive blend of style and performance, despite the overwhelming additions on the CR. Kelley Blue Book notes that “CR models include an aerodynamic body kit,” along with “lift-reducing front and rear spoilers and a removable aluminum hard top in place of the conventional cloth” version on the standard Honda S2000. 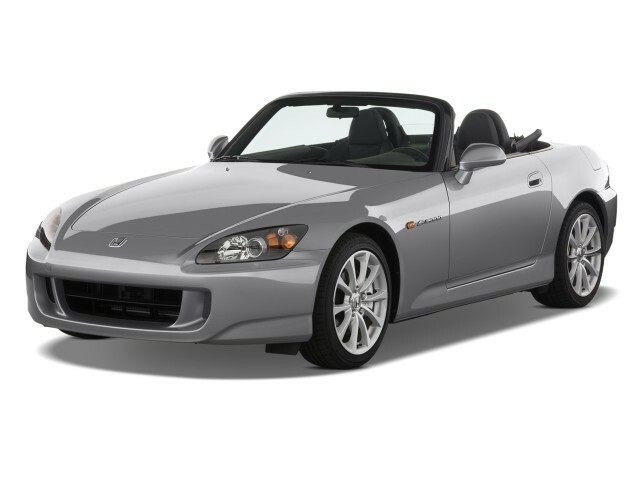 With razor-sharp handling and precise steering, the 2009 S2000 Honda doesn’t disappoint driving enthusiasts. The 2009 Honda S2000 enjoys better handling due to the quicker steering ratio and new tires, and the CR model is a track-worthy contender that can hold its own against more expensive European and American competition. The EPA estimates that the 2009 Honda S2000, whether in standard or CR form, will get 18 mpg in the city and 25 on the highway. Most cars as potent as the 2009 Honda S2000 pay a significant penalty at the gas pump, but the small engine combined with lightweight construction on the Honda S2000 yields a relatively frugal performance machine. As good as the engine/transmission combination is, handling is still a hallmark of the 2009 S2000. Cars.com holds nothing back in praising the “razor-sharp steering, disciplined handling and athletic cornering ability” of the 2009 Honda S2000. Kelley Blue Book reviewers rave about the “nearly flat cornering behavior and extremely crisp response that allows” the 2009 Honda S2000 “to negotiate the corners with sure tenacity.” The Club Racer is even more impressive, with Car and Driver reporting it “is simply harder and sharper, with less body roll and tire scrubbing and more corner composure and stability under braking.” Unfortunately, the price for all that performance is poor ride quality, and ConsumerGuide points out that “nearly every small bump and tar strip registers through the seats.” On the positive side, ConsumerGuide also comments that “braking is swift and easily modulated” whether you are driving on the street or the track. Comfort and practicality are scarce in the 2009 Honda S2000. There's no disputing the Honda S2000's quality and reliability, but interior comfort may not be as good as that of other cars in its class. However, in TheCarConnection.com's experience, those seeking race-car-like handling are usually willing to sacrifice a few comfort amenities for increased performance. Cars.com, like most reviews read by TheCarConnection.com, says that “storage space is at a premium,” finding “a tiny bin between the seats and a trunk with only 5 cubic feet of capacity.” ConsumerGuide recommends that drivers “pack light,” since the Honda S2000’s trunk only “holds a fair number of plastic grocery bags or a couple of day packs.” What limited space there is on the 2009 Honda S2000 is devoted almost entirely to the driver and passenger, and precious little room is given to anything they might want to carry with them. Despite being a small, lightweight sportscar without side airbags, the 2009 Honda S2000 tests well. 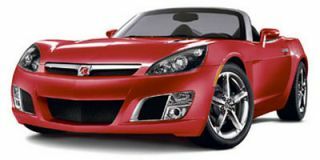 TheCarConnection.com found that the Honda S2000 earned four out of a possible five stars from NHTSA in the front impact category, while also managing a perfect five stars in the side-impact rating despite the absence of side airbags. Although the IIHS has not had the chance to test any 2009 Honda S2000s for their crashworthiness, NHTSA did manage to procure a couple to demolish. NHTSA’s results are very impressive, especially considering the safety features not included on the S2000 Honda. Cars.com mentions that, unlike with many cars on the road today, “side-impact airbags are not offered,” even as options. Among the included features are “antilock disc brakes and stability control,” both of which are standard, according to Edmunds. The standard features found on the 2009 Honda S2000 should be enough to leave most buyers satisfied. The 2009 Honda S2000 is one of few mass-produced cars without factory options. On the bright side, this makes shopping easier, and odds are you won’t miss much. One of the more talked-about features on the S2000 Honda in reviews read by TheCarConnection.com is the pair of “headrest speakers” that Kelley Blue Book says “are the only way to really hear your music when both the top and the accelerator pedal are down” in the Honda S2000. Edmunds lists some of the other standard features on the 2009 Honda S2000: “17-inch alloy wheels, xenon HID headlights…full power accessories, air-conditioning and a CD player.” ConsumerGuide reports that “cruise control” and “remote keyless entry” are also included among the Honda S2000’s features. The standard features list on the Honda S2000 may not be lengthy (there’s only so much you can fit inside such a small car), but what it lacks in quantity, it makes up for with quality and usefulness. TheCarConnection.com notes a few options—including XM Satellite Radio—that can be installed at the dealership. Outstanding sports car that has Italian good looks and performance, with Japanese reliability and simplicity. An outstanding sports car that has Italian good looks and performance, with Japanese reliability and simplicity. Absolutely it is the best of both worlds, with exclusivity to boot.